I was trying some options for videos and then the display shows me only green channel instead complete rgb and some seconds later turns completely green (solid green). 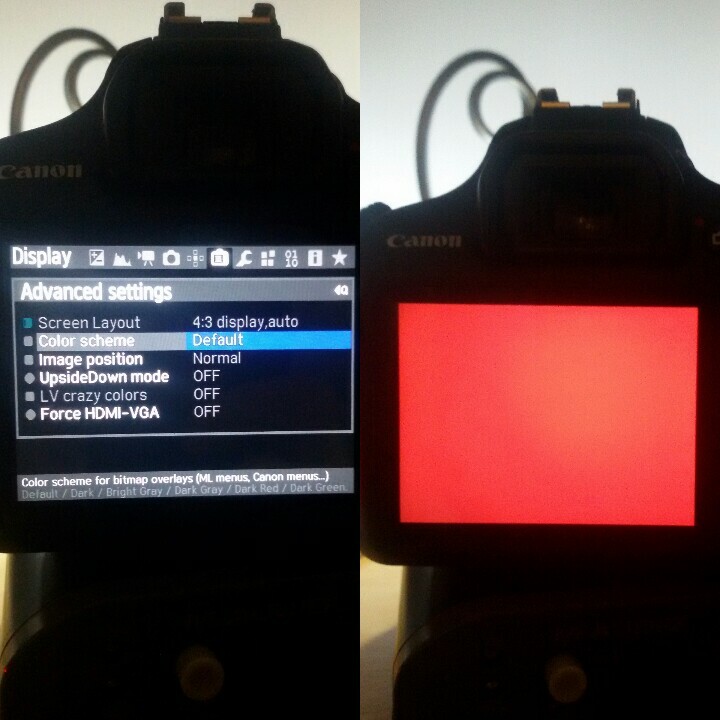 So I tried (several times but with same results) to reboot the camera and the display returns solid green disabling me to take control of the camera (even for the simple canon firmware menu). How can I reset or format or do something without see nothing except solid green? I prefer to asnwer step by step. Portable display test: What's the procedure with ML already into the SD? Do I have to replace the autoexec.bin of this "not working version" of ML from the same sd? Is it valid for this 1200d? Another thing that I forgot to mention is that when this issue started to act I was using a "Viltrox DC-70 II" through hdmi. restore your old settings one by one, until you find the one that caused the issue. If that doesn't work, just format the card and reinstall ML from scratch. Make sure you can reproduce the issue though (no 1200D here, so I have no other way to fix it). Is there a fix around? Notice that ML menu icons (which also use custom color palette entries) have correct color. Display -> Clear Overlays. These work by making the entire palette transparent (thus clearing everything), then restoring the old palette to bring back the overlays. Are these two working fine? Are you able to compile ML? If yes: does it help if you play around in tweaks.c, alter_bitmap_palette? The first thing to try would be to reduce the range in the for loop (try smaller intervals, e.g. 0-10, 10-20 and so on, maybe one of these color entries is causing the issue). If it still doesn't help: make sure the display looks fine if you delete the body of that for loop, then continue with the trial and error. If not: other 1200D owner should be able to look into this (it's a very easy coding task, but requires the camera in one's hands, as the issue seems hardware-specific and may require some 10-100 test runs to narrow it down). I had no probs with those two options. Everything was fine. But I'm not able to compile ML, cause I haven't got the competence at all. I'm sorry for that. Hope somebody will fix that issue soon though. Thank you Alex by the way! 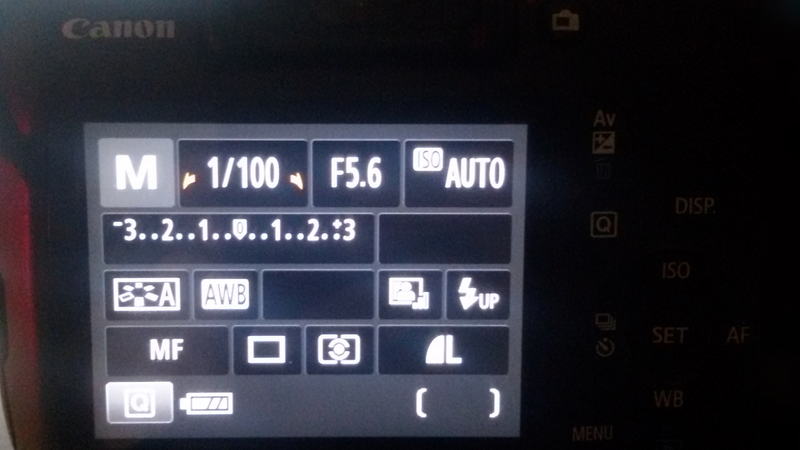 I had the same issues on 50D, to solve you have to select (with some trials) Color Scheme back to default or delete configuration files (magic.cfg and menus.cfg). It's present in lua_fix and manual_lens branches, but no issues in latest nightly (2017-12-07). So maybe can be related to some commits from lua_fix? Good point - the 1200D build is based on lua_fix. Reproduced on 500D. Hg bisect points to bc10355b34bb.